Accessories: Yamamoto Sound Craft PB-10 Ebony bases under Abbys, PS Audio Ultimate Outlets and AudioPrism Quiet Lines. Room damping provided by lots of books. 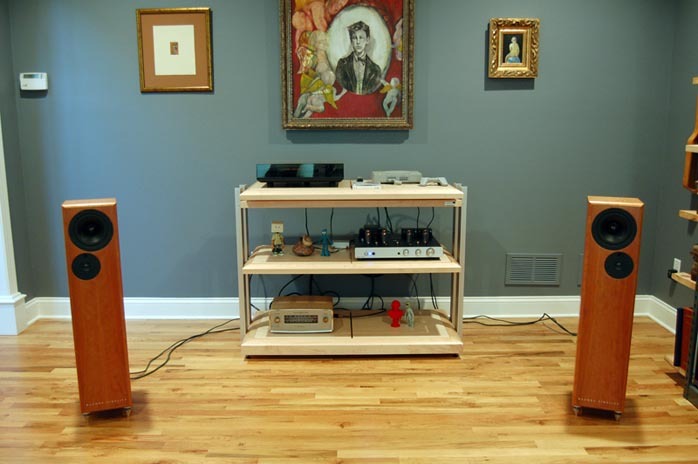 Here's Paul Candy on the Titan Series from his HE2005 Show Report: "The build quality and appearance was stunning for the price. To top it off, the Titan series are completely home-grown USDA beef! How Rogue can build here and keep the price so low is beyond me." I couldn't have said it any better. It's beyond me too. 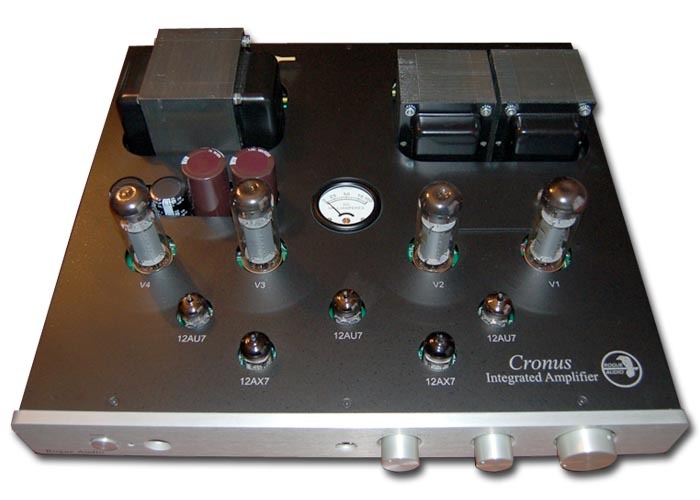 Looking beyond the 3/8" anodized aluminum faceplate and knobs (available in natural silver or black), the Cronus uses a quad of Svetlana current-production EL-34s run in push-pull pairs, a duo of Electro-Harmonix 12AU7 driver tubes, a pair of Sovtek 12AX7 input tubes and a single EH 12AU7 for the preamp's gain stage. Tube rolling is okay by Rogue's chief designer Mark O'Brien. "You can definitely do some tube rolling with the Cronus and we don't discourage it. 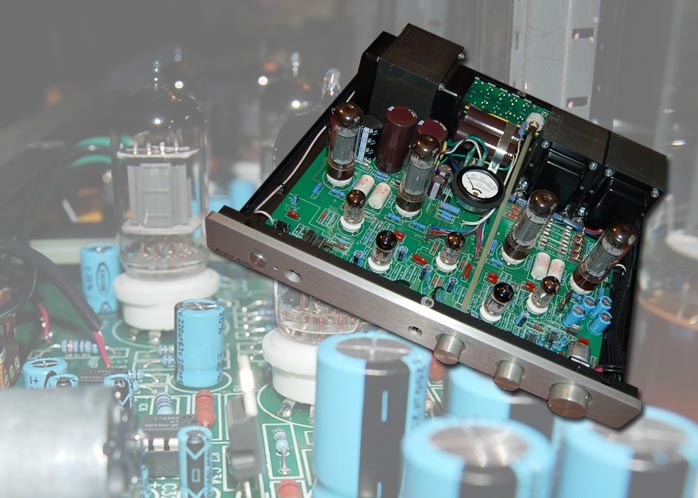 I believe that we use the best tubes currently manufactured, but the ability to tailor the sound by changing tubes is certainly part of the fun of owning tube equipment." 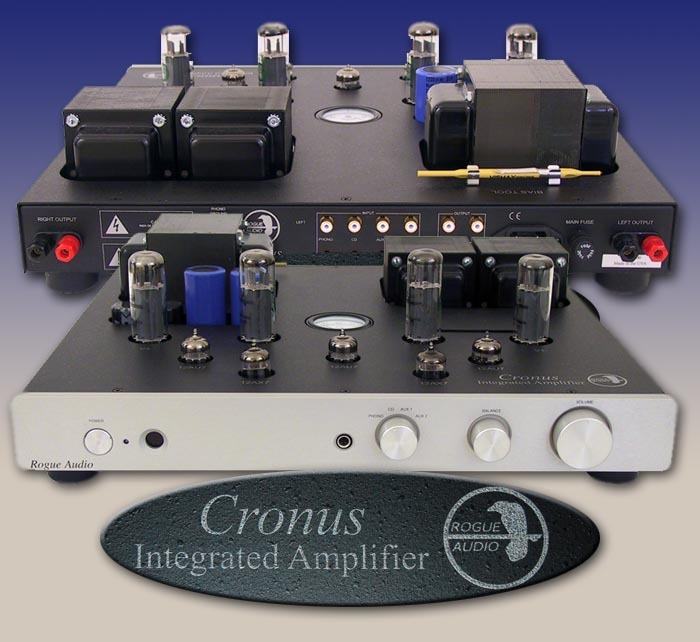 There are two aspects of the Cronus setup worth noting. 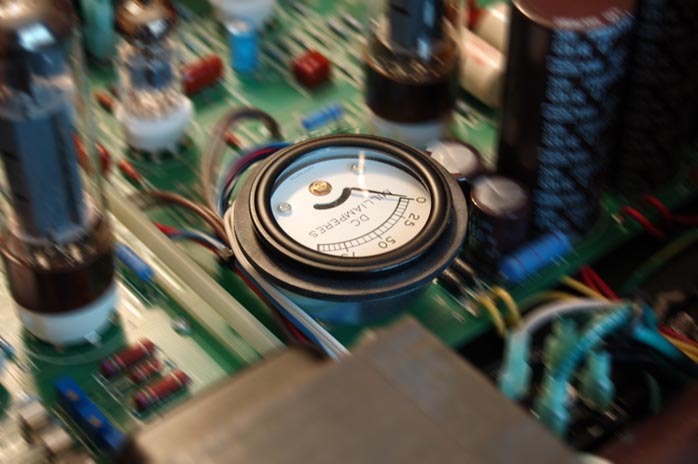 The first is that the power tube bias is set manually. That means you. This procedure is detailed in the manual but in case the thought of manual bias sounds like a hassle (it's not), I'd thought I'd give you a dry run. After you've run the amp for at least 30 minutes, turn the volume all the way down. Unscrew the two captive screws (captive so you don't drop 'em into the amp - a thoughtful touch) that hold down the hatch plate. Remove the plate. 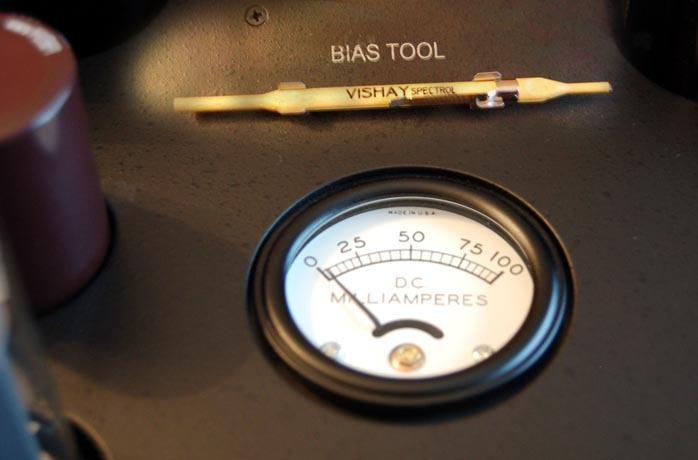 Pop off that handily placed bias tool, pick a tube and turn the switch next to it to set. Then dial the associated screw till the built-in meter pegs at 35 milliamps (mA). Flip the switch back to run and move on to the next tube (repeat 3 times). 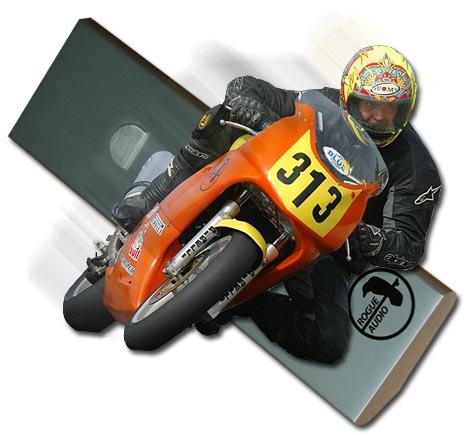 Easy, fast and because it's just so well executed - fun. I set the bias once, checked it twice and never had to set it again over the three months I lived with the Rogue. Many moons ago, I wandered into an audio salon with my dad to hear the YBA CD player with the blue laser (the specific model escapes me). Upon hearing my request, the affable owner said "just sit down and listen to this". 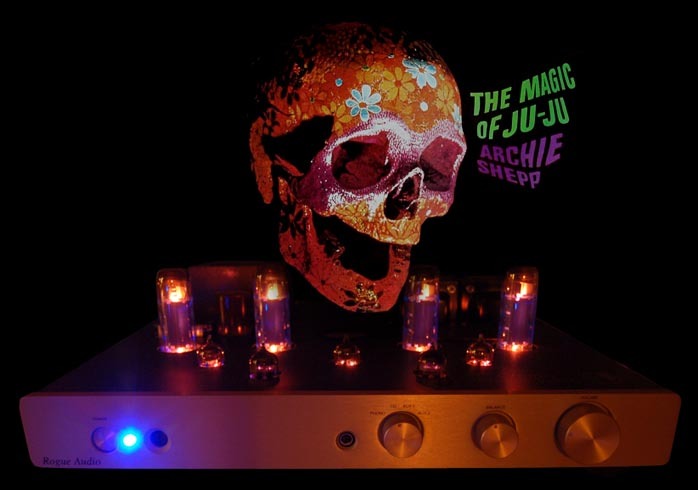 And he proceeded to fire up a tube power amp sitting on the floor between a pair of Vandersteen 3s. 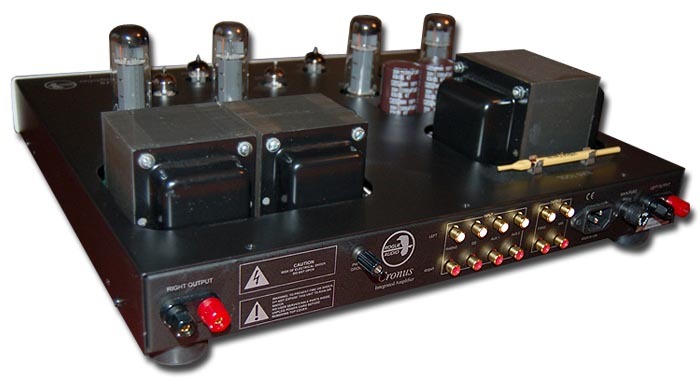 The amp was a substantial yet simple-looking affair with a black raven perched (menacingly?) over the company's name on the hefty silver faceplate. I can remember lots of tube-defying, gut-pounding sound accompanied by the salon keeper's very wide grin as we enjoyed his music much more than he seemed to care about selling me a CD player with a blue laser. I remember talking with my dad as we drove home (without a blue laser CD player) about how much drive, volume and truly enjoyable music was coming out of this relatively inexpensive package.